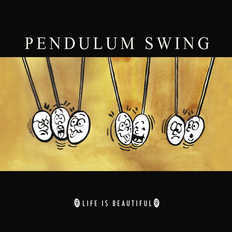 Pendulum Swing | OK Listen! Up-and-coming rock act from Manipur, a place in the northeastern corner of India, Pendulum Swing is all about melodius and heartfelt lyrics. They started off as a group of friends and brother who shared a common interest in music.... and blessed to have been able to make an impression amongst the Music loving people of the state and reassured our firm vision and interest to grow to another level without ever looking back...They recently released their debut album 'Life is Beautiful' which took seven months to complete! !